As we take a look at Nike, we undoubtedly understand what their brand message is all about, regardless of what product they are selling. We instinctively equate greatness, success, inspiration, and innovation with the brand. Nike is crystal clear as to what their brand message is and consistently repeats this message in EVERYTHING they do. This is another reason why branding is so important. It allows people to know exactly what to expect each and every time, therefore on a deeper level, they will almost always make the decision to return to your brand if they identify a bit of themselves in your brand. The video ad below demonstrates how Nike uses their message of inspiration and innovation to market their products. 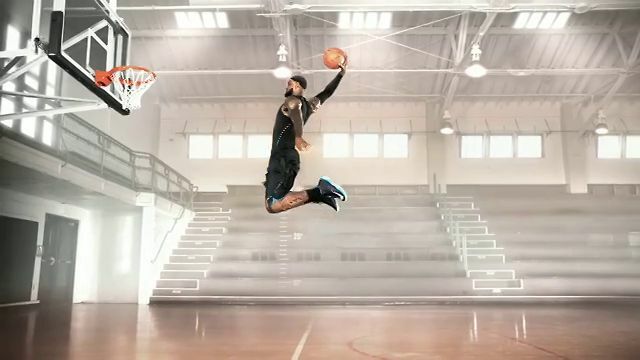 Look who they use in the first scenes (a person of inspiration, LeBron James). Then take note of the numbers that pop up on the screen, along with the product they are highlighting (the innovation). Nike does this each and every time. We’ve recognized that branding was an element that many of our clients were missing. We’ve also noticed that not only our clients, but many other business owners, and professionals alike were missing the key element of branding. That’s what we’ve changed our strategies to focus on your brand first. We can help you develop and build your brand. Give us a shout to get started on your branding initiatives. Without further adieu, here’s the epic Nike commercial.